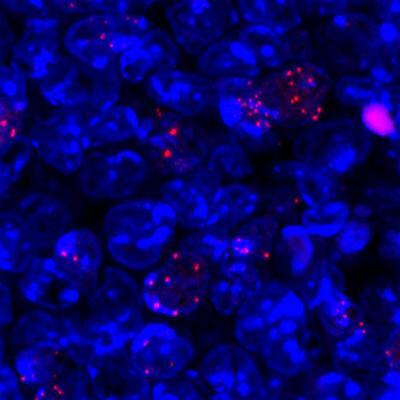 Researchers from Instituto de Medicina Molecular (iMM) Lisboa have created a chimera virus that allows the study of molecules to treat cancers caused by human herpes virus infection in mice models of disease. These findings allowed researchers to create a chimera virus: a mouse virus with a human viral gene that can be used to test molecules that inhibit human LANA protein in an animal model of disease, treating not only human herpes virus infection but also its associated cancers. These molecules will hopefully be used in the future as drugs to treat Kaposi virus associated lymphomas. How does a cell maintain its identity during replication?